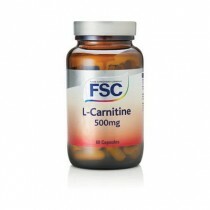 L-carnitine is an amino acid that is produced in the body naturally. Not everyone needs a supplement, but some people can benefit greatly from taking one. The effects of this amino acid have been studied since the 1930’s. It can be very beneficial to body builders, whether the goal is fat loss or muscle gain. However, there are many other benefits that you can see with taking this supplement other than to reach these goals. 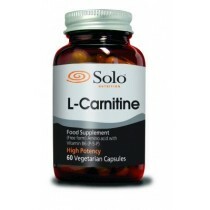 L-carnitine actually helps increase energy and reduces fatigue, which is a huge benefit for most people both healthy and unhealthy. This also increases our aerobic capacity for exercise. If you are looking to burn fat, it is also good because while it is creating this energy, it is also transferring long chain fatty acids to create that energy, which burns fat. In addition, it acts as an appetite suppressant at the same time. This makes this supplement great for anyone who is dieting. 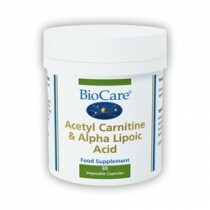 This amino acid supplement is also an antioxidant, which allows you to boost your immune system. This and the energy gains is one reason why people with certain diseases such as AIDS and other disorders that cause fatigue should take the supplement. This supplement also has some additional benefits that most people don’t know about. For example, it can decrease bone loss and increase bone density, staving off arthritis and other bone diseases in senior citizens. It is also used with heart conditions, particularly angina. 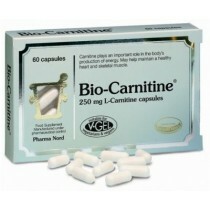 If you have kidney problems you probably aren’t producing enough carnitine, and need to take the supplement. It also increases glucose oxidation, storage and uptake, making it a perfect supplement for people with diabetes or sugar problems. If you are even at risk for any of these conditions, l-carnitine can help reduce your risk factors tremendously.